Dubuque-to-Kenosha ride will add two-day option, with those riders staying overnight in Beloit. 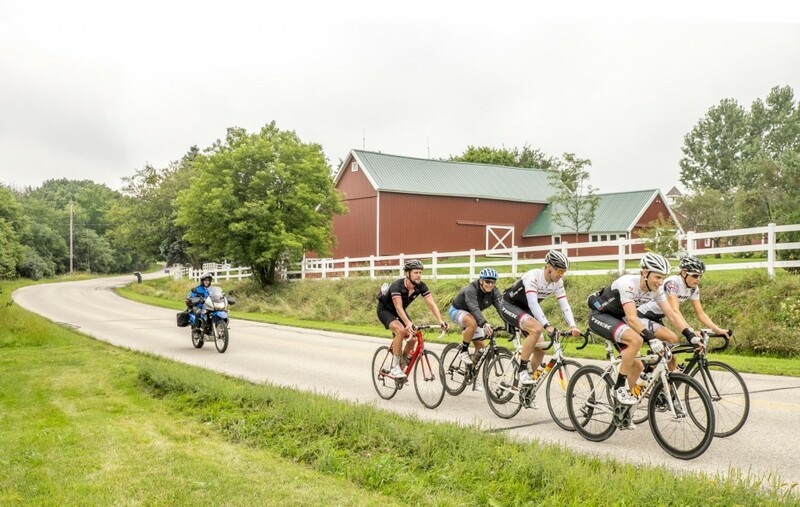 Based on the overwhelmingly positive comments, the Ride Across Wisconsin or RAW for 2016 will use the same route (with a couple minor changes) and be on the same weekend, Aug. 26th-28th, as it was this year. The big news is that we will be offering a tw0-day option with an overnight stay in Beloit. Our model for this ride was the Seattle to Portland Ride. STP raises money and grows membership for the Cascade Bicycle Club, and it sells out 10,000, with 2,700 people choosing the one-day option and the rest riding over two days. We want RAW to get huge too, but we are capping registration at 1,200 next year so we don’t experience too many growing pains. 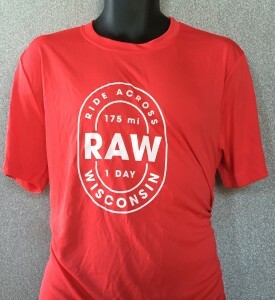 The main reason we started RAW was to create an epic, fun ride that promotes our great state of Wisconsin, but we also want to raise unrestricted revenue for bicycle advocacy and grow our membership so we have more political muscle. We are confident we can do that, but are wary of taking on too much too quickly. This year we issued 492 bib numbers and only sagged 8 riders. That is a testimony to everyone who signed up having plenty of grit, but also to our great ride support and a fabulous route that gets easier as you get closer to the finish. With our inaugural RAW in the books and still getting rave reviews, people are clamoring for information about next year. We won’t fix what isn’t broken, so for at least one more year, RAW will begin in Dubuque and follow scenic, low traffic roads 175 miles to Kenosha. Next year the track will be finished with a resurfacing project, so as we ride past the Washington Park Velodrome, riders will be encouraged to take a ceremonial lap around the “Kenosha Bowl,” which opened in 1927, and after 89 years, is the oldest operating velodrome in the country. 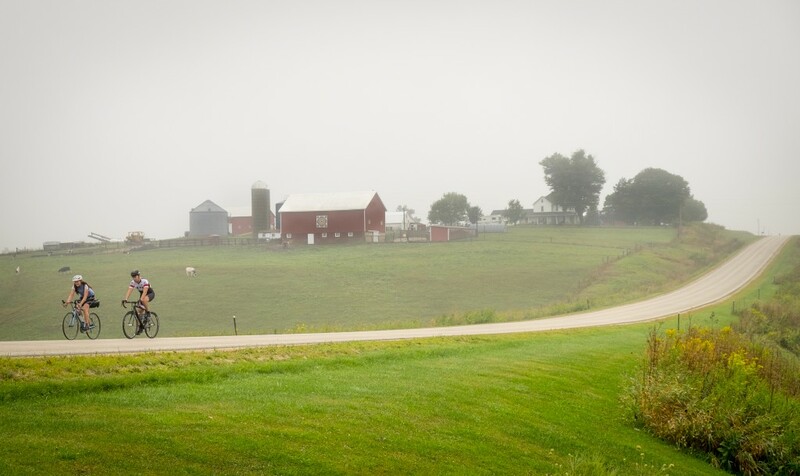 We are starting in Dubuque because we need a start location with plenty of hotel rooms and the route across the southern part of the state is shorter. There are just over 13 hours of daylight at the end of August, which should allow most riders to finish with daylight, but please bring lights! We will have law enforcement support, but all riders are expected to follow the rules of the road at all times. Anyone caught violating will be disqualified. We are in early planning stages for the 2017 RAW and we already have interest from La Crosse about hosting the start for that year’s event. Given this is only our second year and the ride is sure to grow exponentially, we are keeping the route the same to reduce logistical changes. Finally, we want to thank everyone again, beginning with the Founders of RAW, who took a leap of faith and signed up to ride when we had so few details. We also need to thank our sponsors who supported a new event with little guarantee they would get positive press. Of course we also want to thank everyone who helped make the day a success, from individuals, to the groups like the Stateline Spinners, Team VeloCause (many of whom worked rest stops when they would rather have been riding), the members of the UW Whitewater Cycling Team, the members of IMBA’s Wisconsin Mountain Patrol (who even went back at night to find a lost wedding ring), the host communities (particularly Dubuque, Beloit and Kenosha) and of course, the hard working crew from Wheel & Sprocket. You all worked extremely long days and everyone, paid or unpaid, went above and beyond the call of duty. Thank you all!